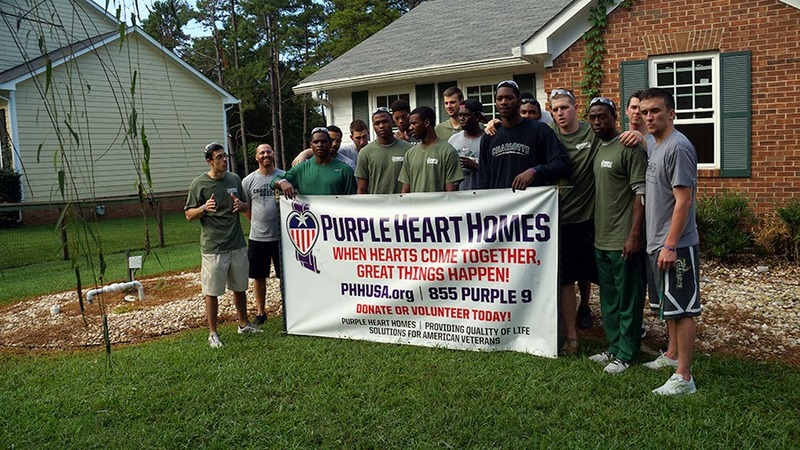 Members of the Charlotte 49ers men's basketball team spent Friday morning helping paint the interior of a home in the university area as part of the Purple Heart Homes Charity, an organization that adapts and remodels homes for disabled veterans. Players and staff put several coats of paint on rooms inside the home. The team never did this type of community service when Majors was around. Maybe he doesnt believe in this type of community service???? ?